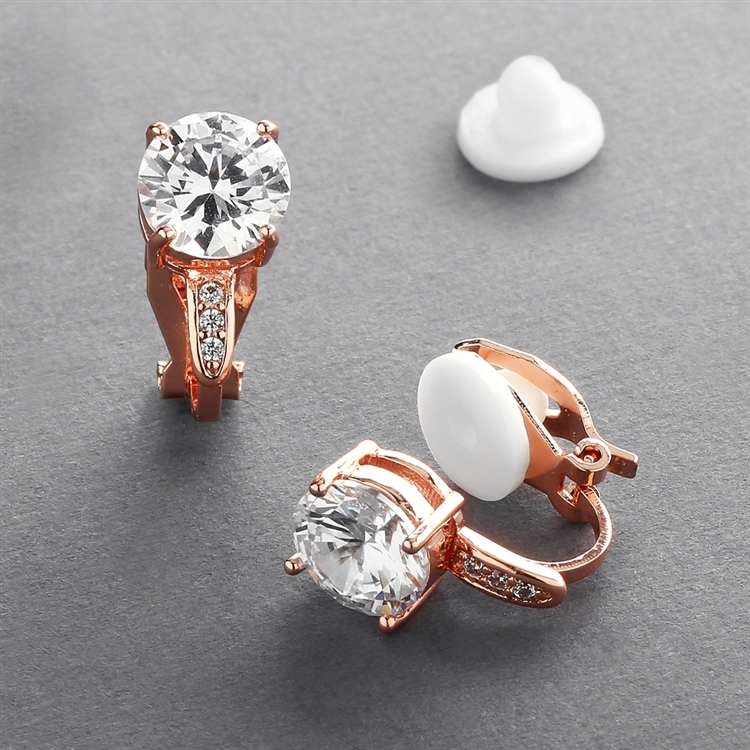 Whether you wear these gorgeous clip on studs to a wedding, romantic candlelight dinner or to an important business meeting, no one but you will know these genuine 14K Rose Gold plated stunners are not real diamonds! Mariell's 8mm round-cut cubic zirconia clip stud earrings feature 2.0 Carat pronged solitaires. The gleaming AAAAA quality Zirconium gems boast dainty pave accents giving them a unique silhouette. At last, non-pierced earrings that are sophisticated and super lightweight with the look of fine jewelry at a great low price! We love the versatility of these clip-on earrings for both special occasions and everyday. 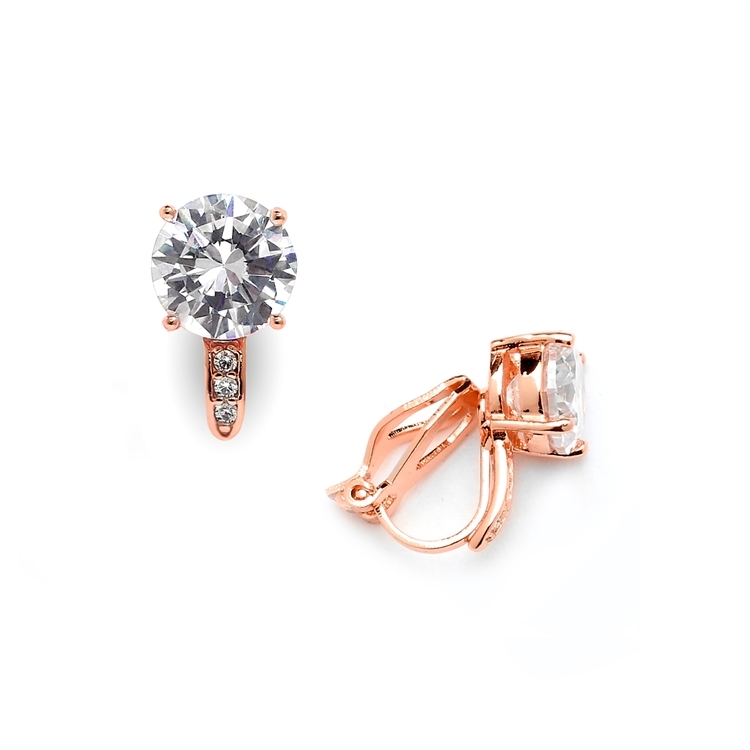 Our non-pierced CZ earrings include cushion backs for all-day comfort. 5/16" w x 1/2" h. Lifetime Guarantee.